It will help protect the Revolutionary War's Yorktown battlefield and nine Civil War sites throughout Virginia. RICHMOND, Va. (AP) — Virginia says it will spend more than $1 million in state grants to help preserve battlefields from the nation’s Revolutionary and Civil wars. 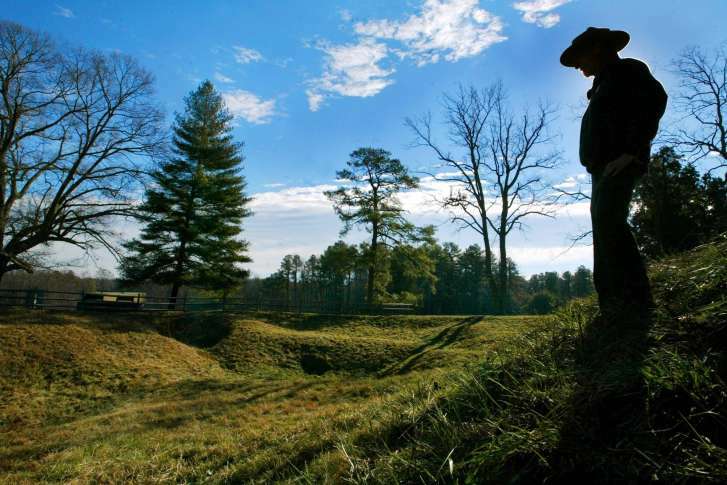 The Virginia Department of Historic Resources said Monday that nearly 600 acres will be placed under protection with money from the Virginia Battlefield Preservation Fund. It will help protect the Revolutionary War’s Yorktown battlefield and nine Civil War sites throughout Virginia. The American Battlefield Trust and the Shenandoah Valley Battlefields Foundation will receive the funding. The two nonprofits will use the state funds to get matching donations. Virginia’s Battlefield Preservation Fund has helped organizations protect more than 8,500 acres throughout the state. Its funds help save sites from the Revolutionary War, War of 1812, and Civil War.